That breastplate and helmet will not do you any good in battle if you are getting your arm hacked off. Do not forget to cover your shoulders! 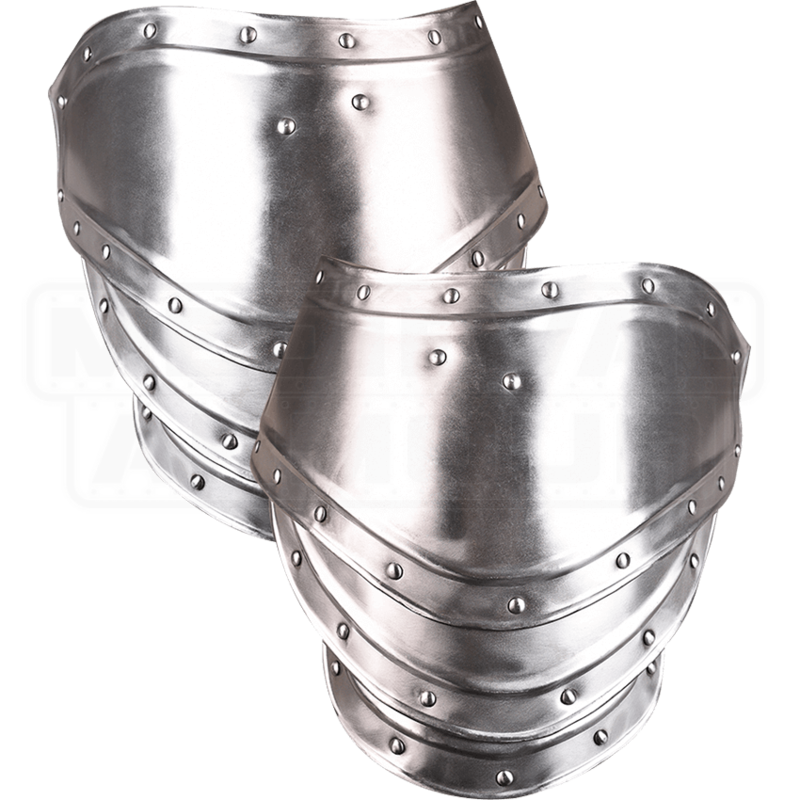 For a truly authentic medieval look with a broad area of coverage, use the Steel Georg Spaulders. 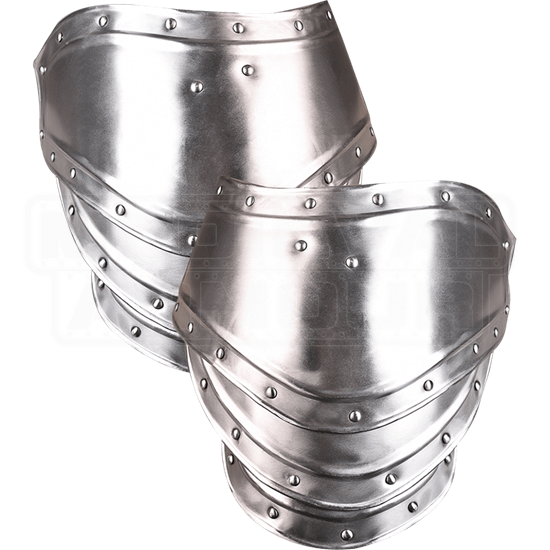 These handmade, 18-gauge steel pauldrons completely cover the upper arm, as well as a considerable portion of the chest and back. They can be attached to a gorget or cuirass via leather straps and buckles. These spaulders were originally designed for use with other pieces from the Georg armour set, but they can also be paired with any gorget or cuirass that features the appropriate attachment points. Their borders are adorned with ornamental riveting, adding authenticity to their look, and they are segmented in three places, allowing for flexibility. The Steel Georg Spaulders make a fantastic component of any LARP or reenactment suit of armour.